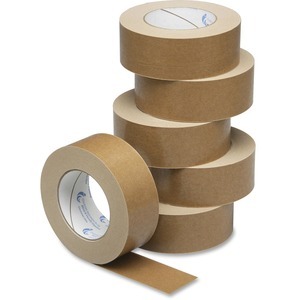 General-purpose tape is made from quality Kraft paper with a natural rubber adhesive that stands up to extreme temperatures and humid conditions. The 6.1 mil thick paper is stronger and more resistant to moisture. Tape tears easily by hand without the use of a dispenser.